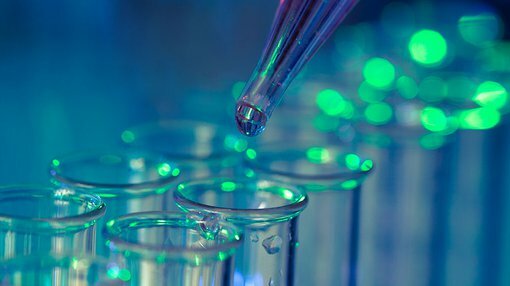 The ASX-listed biotech Rhythm Biosciences (ASX:RHY) — a developer of the ColoSTATTM antibody based blood test targeting the accurate and early detection of colorectal cancer — this week released its first quarterly report. RHY listed on the ASX on 7 December 2017. Since then it has signed a key research contract with CSIRO to complete development of the key reagents needed for ColoSTATTM. The company’s lead product is intended to provide the accurate and early detection of colorectal cancer, acting as either a ‘first-step’ screening test or as a step following a positive faecal immunochemical test (FIT) or colonoscopy. Importantly, ColoSTATTM is also of particular value to those with risk factors associ­ated with colorectal cancer. The technology also has the potential to become the new first step screening test for people, who for personal, cultural or clinical reasons, elect to not participate in the existing screening programs for colorectal cancer. It is designed to be a simple blood test that is cost effective, minimally invasive and easily run by laboratories with minimal training or need for new infrastructure — which can simultaneously achieve greater patient participation and compliance than faecal tests. It should be noted here that RHY is in its early stages and investors should seek professional financial advice if considering this stock for their portfolio. Within days of listing on the ASX in December, RHY informed the market it had kicked off work under its research contract with the Commonwealth Scientific and Industrial Research Organisation (CSIRO) to develop the last key reagents required for ColoSTATTM. This coincides with the company’s explicit objective to develop its own antibodies and target proteins which would allow RHY to control the supply, quality and cost of the key reagents required to manufacture the ColoSTATTM test kits. The reagents are a crucial factor in terms of producing test kits that are consistent and reliable. While the company already has its own reagents for most of the ColoSTATTM targets, as specified in the CSIRO contract, researchers will develop these target reagents and assess their advantages over reagents that are already commercially available. Delivery of the key reagents and ‘cell lines’ required for truly scalable and ongoing production is expected by RHY to come through in late November this year. Once it has those in place. The company can progress ColoSTATTM to a new production and validation phase. As mentioned, RHY commenced trading on the ASX on 7 December 2017. RHY’s directors are pleased with the company’s progress since listing, with Chairman Shane Tanner stating: “We remain driven at achieving key deliverables under the company’s business plan to expedite the development and commercialisation of ColoSTAT.